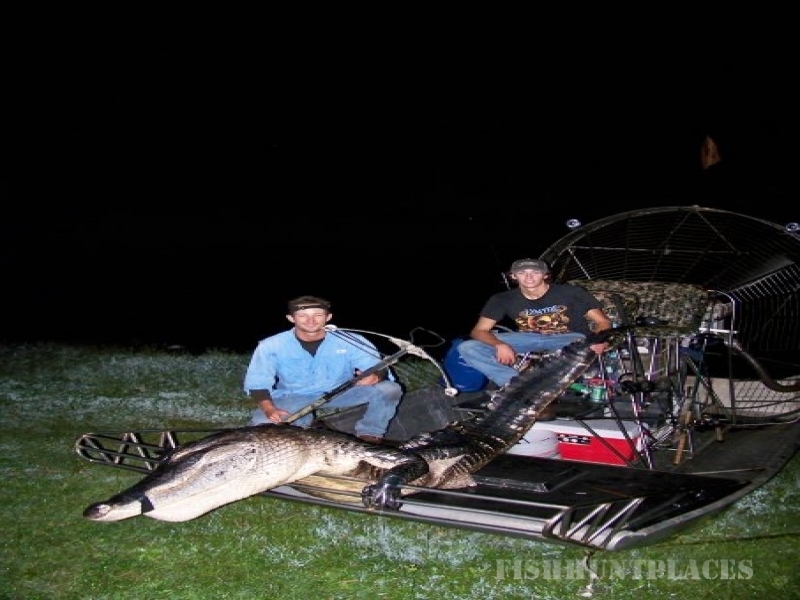 Native Floridians Captain Peter Deeks jr. and Captain Robert Rohmann, run the Native Sons Outfitter Team. We have a great love of the outdoors, and a passion to share Central Floridas unique landscapes and wildlife with others. 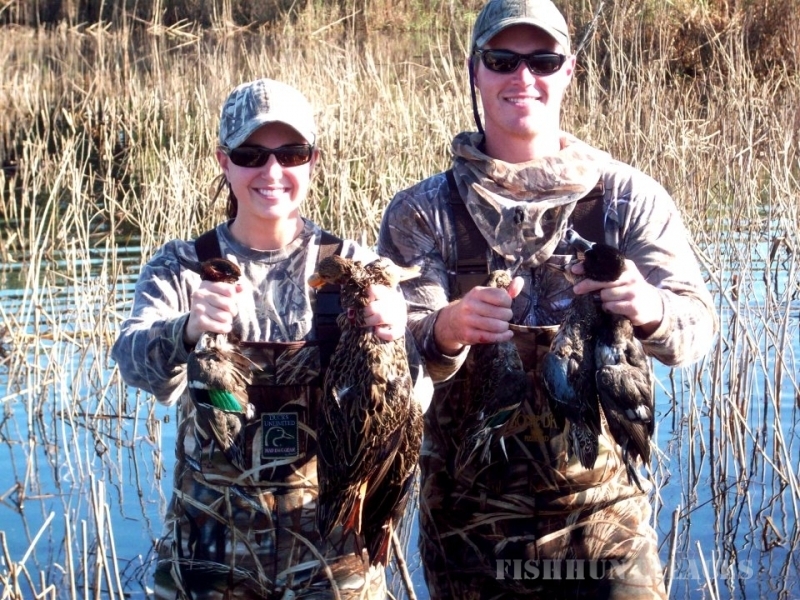 Native Sons Outfitters specializes in duck hunting charters in Central Florida. 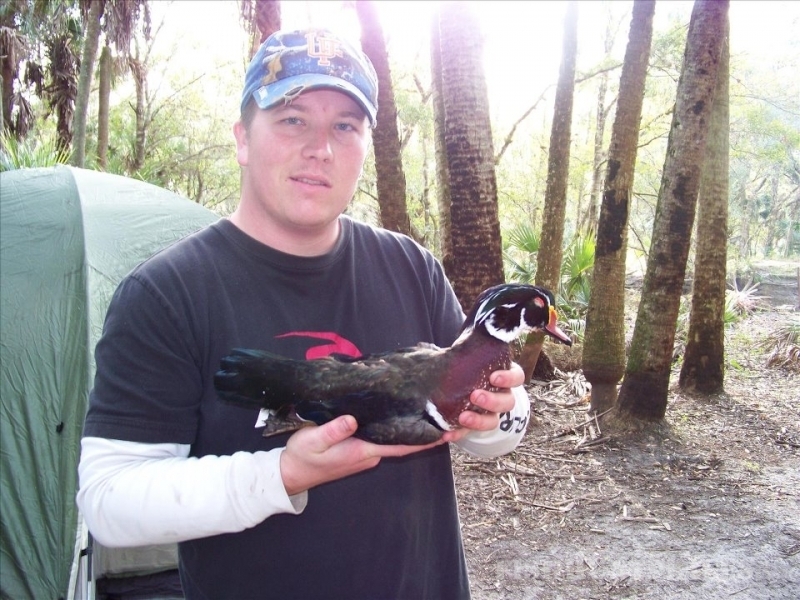 Central Florida has outstanding bird hunting for wintering ducks and snipe. We take great pride in our success and work hard to make sure that you shoot a lot of birds, are comfortable, and have a great time enjoying the wing-shooting tradition! Please look through the information below, and contact us with any questions that you may have. 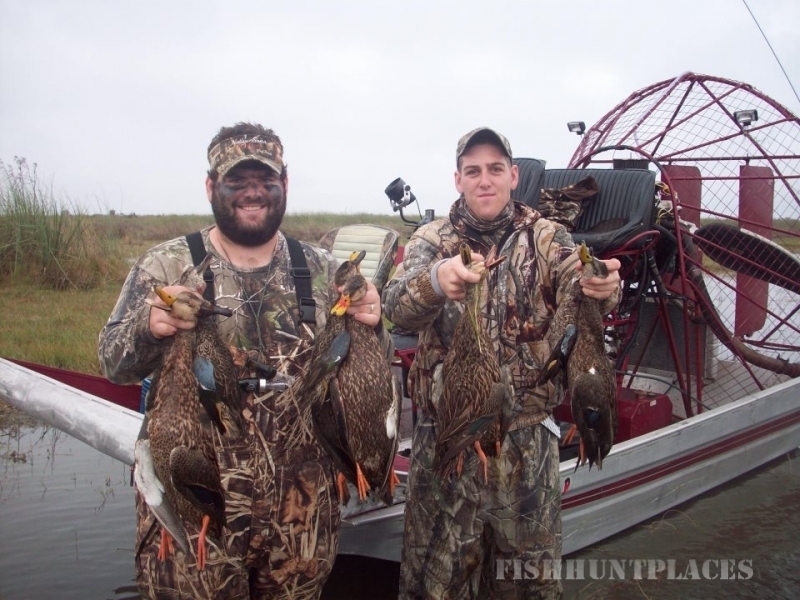 The 2011/2012 season Looks like it is going to offer great wingshooting! The water levels are good, and there are healthy amounts of food and vegetation. There is much more habitat and food than last year, and the predictions are good. 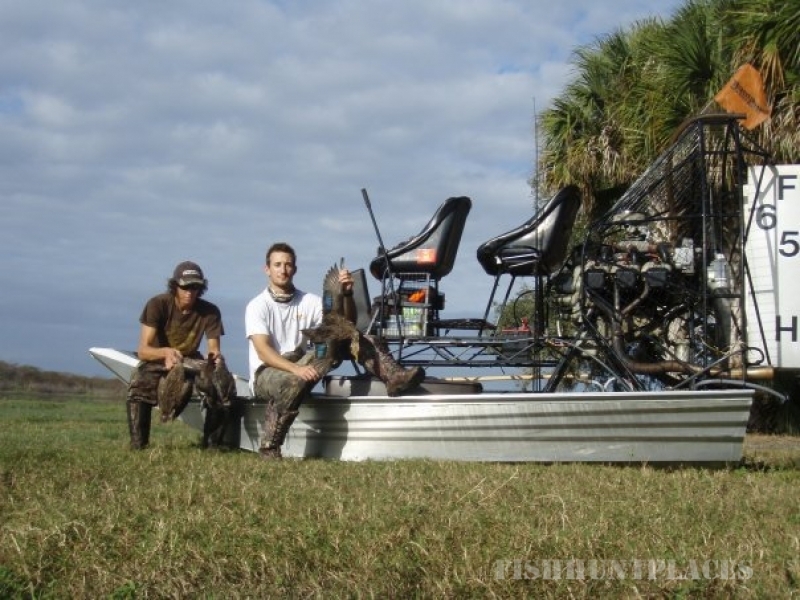 We primarily hunt a very large wetland called the St. Johns River Marsh. Our hunts are fully guided, well planned out, and each hunt is 100% customized - we do not drop you off out in the marsh to fend for yourself. 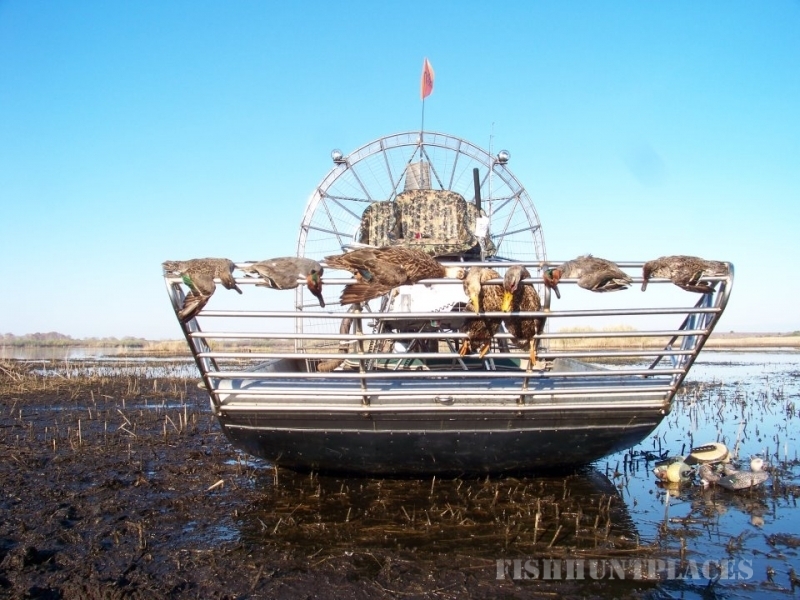 We use safe and comfortable, custom airboats as transportation to and from the blinds. 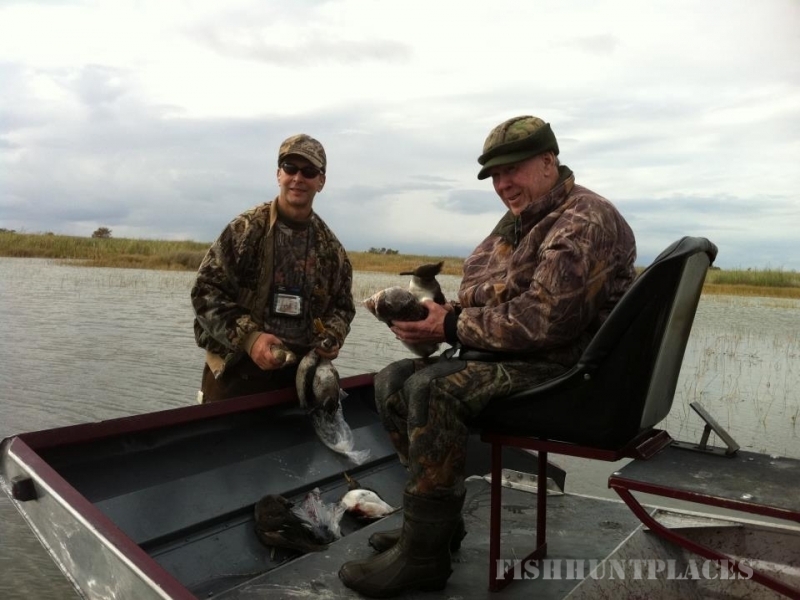 The airboats allow us to get back to the little puddles holding the big flocks of un-harassed ducks. Our blinds are usually temporary grass blinds, as we follow the biggest groups of ducks around the marsh. We build our blinds where the ducks are! A couple of days of shooting the same pond or puddle will thin the birds a bit, so we spend a lot of time scouting out the other ponds and puddles to stay on the best shooting areas. We really love duck hunting, and work hard to give our clients (better yet..."future friends") a very rewarding and successful hunt! Central Florida's wetlands are very unique, and hold a huge variety of ducks. 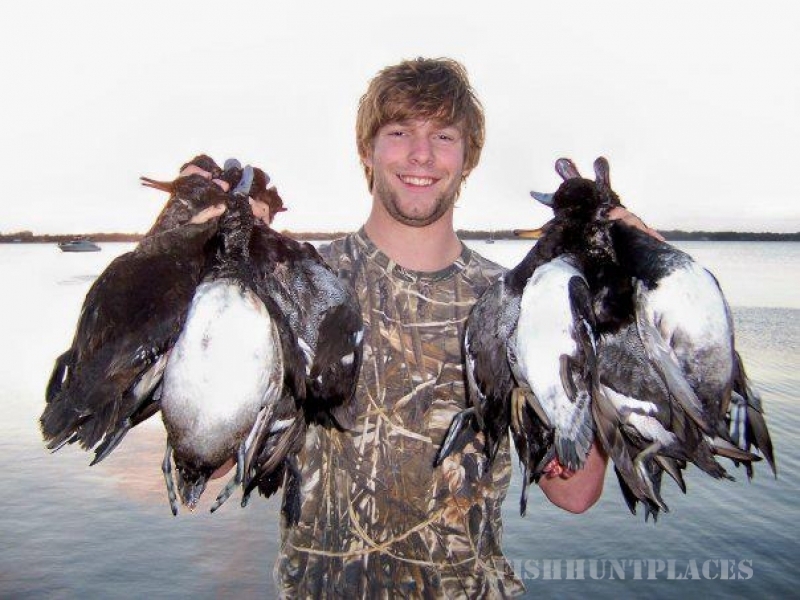 We hunt predominantly puddle ducks, but divers are available upon request. 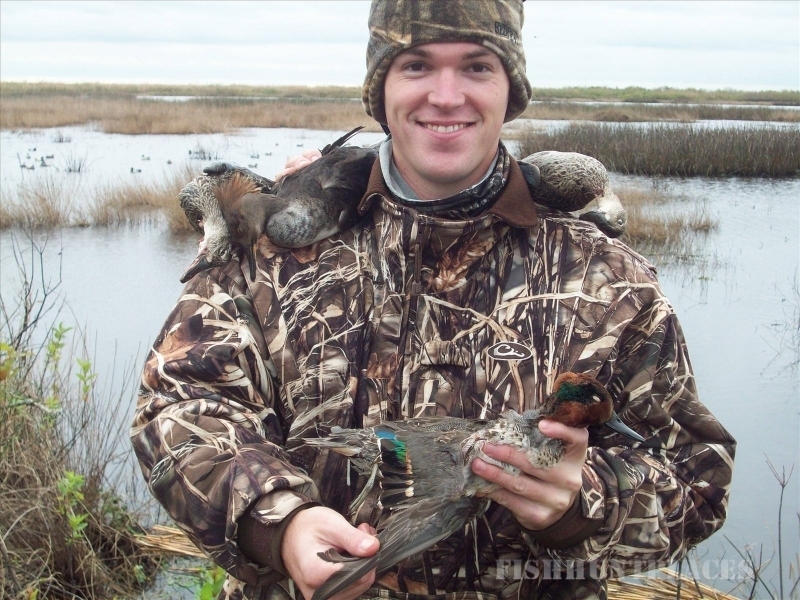 The usual puddle ducks we shoot are widgeon, green-wing teal, blue-wing teal, northern pintail, wood ducks, Florida mottled ducks, fulvous whistling ducks, black bellied whistling ducks, and mallards. Our most commonly shot divers are ring-necked ducks, greater and lesser scaup, hooded mergansers, and common mergansers. Of our more common ducks, four of the species are residents of Central Florida. These locally residing ducks are the mottled ducks, wood ducks, fulvous whistling ducks, and the black-bellied whistling ducks. 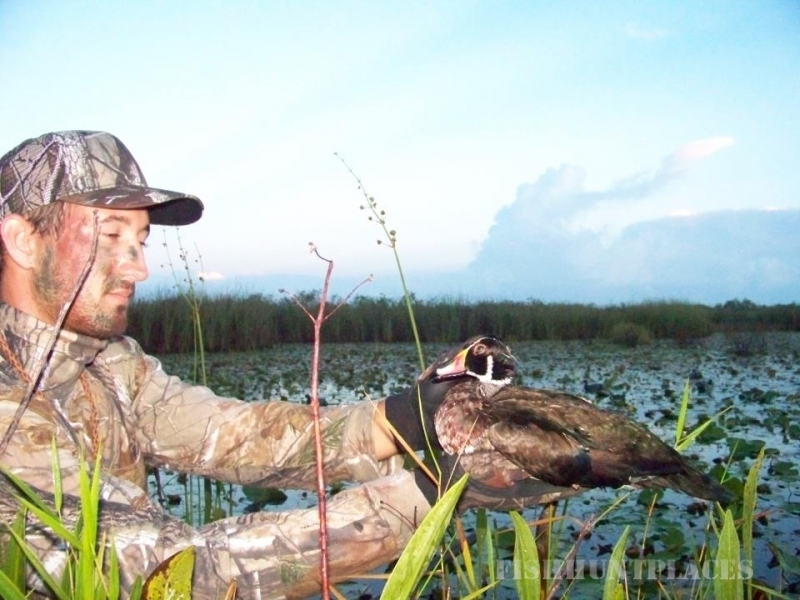 The Florida mottled ducks are found no-where else in the world! They resemble a hen Mallard, but are larger in size, and are very vocal. The whistling ducks are very unique, in that they are a somewhat invasive, resident species that escaped from captivity in south Florida within the past 100 years.